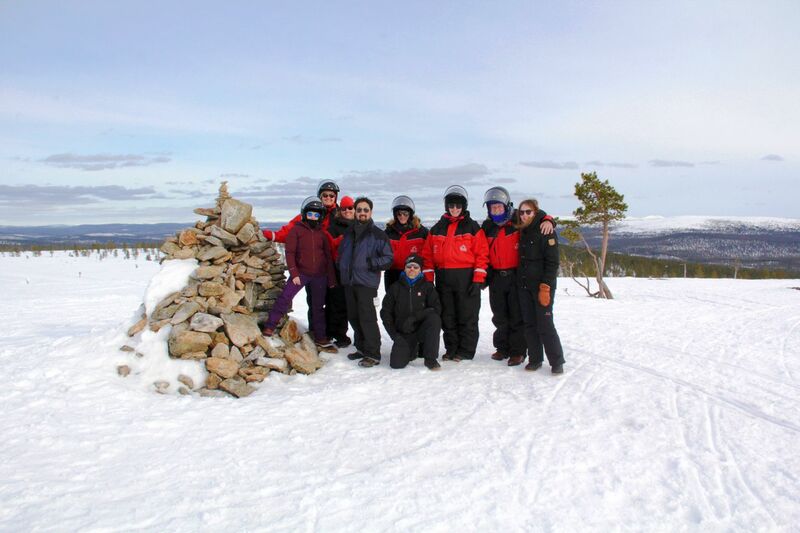 Film Lapland (Finnish Lapland Film Commission) hosted a familiarization trip in April (2018), bringing together a group of location managers and film and television producers to experience Lapland spring for themselves. The days were long and bright, but with mild temperatures and deep snow cover for a myriad of fun activities and unique experiences. Senior Vice President of Production at HBO, Sally Harvey, Producer Molly Allen, Location Managers Kent Matsuoka and Dow Griffith, and Supervising Location Manager and Partner from Truenorth, Thor Kjartansson attended the four-day trip. 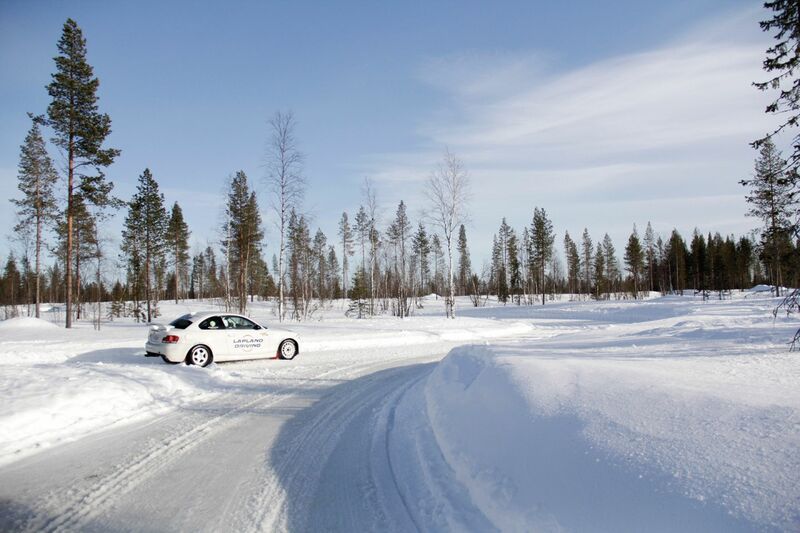 The tour kicked off with a trip to the Arctic Circle, only a 7-minute drive from their hotel in downtown Rovaniemi, the provincial capital of Finnish Lapland. 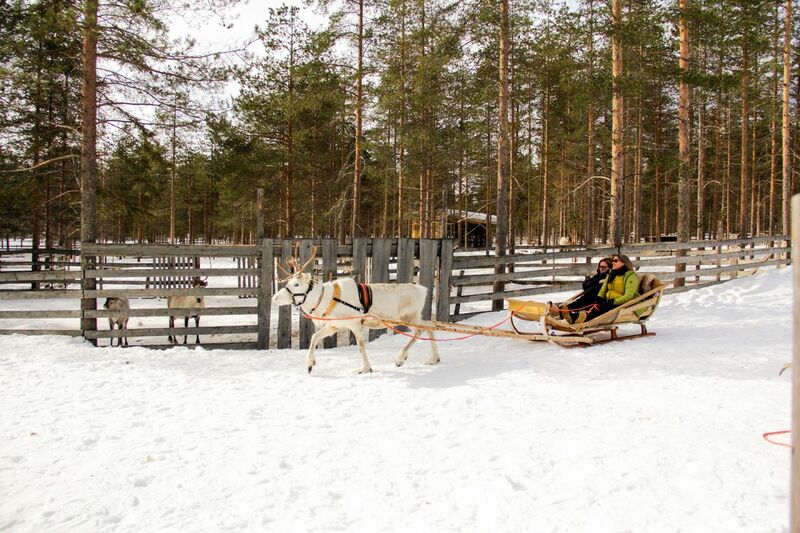 A local reindeer farm introduced the fam tour guests to Lapland’s spirit animal reindeer, and the culture of the Sámi people, Europe’s only indigenous people. One of the main attractions in capital of Lapland is the Santa Claus, and Christmas season is the busiest time of the year in the city. After enjoying reindeer sledge rides and traditional Sámi music, yoiking, the team visited an underground Christmas-themed amusement park also located right on the Arctic Circle. 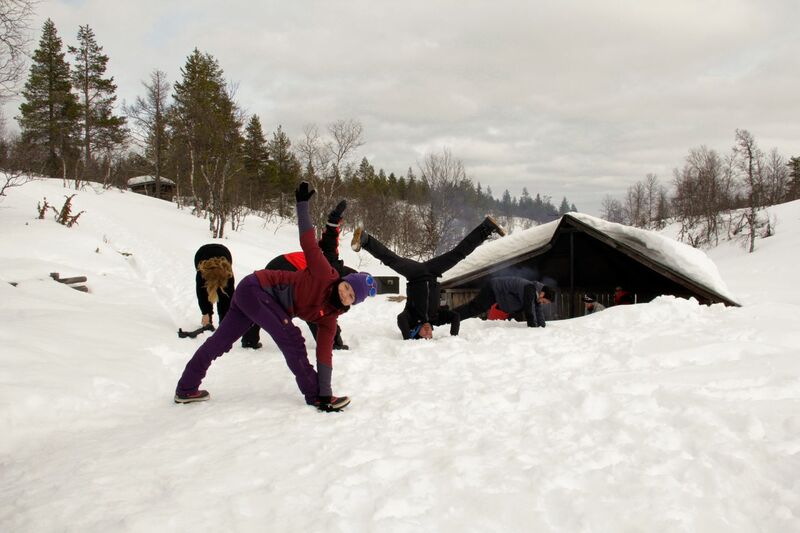 For the rest of the evening the guests were in for for an evening of relaxation–Lapland style. At the Arctic Forest Spa, they enjoyed a traditional Finnish sauna, Jacuzzi, and the braver ones even took a dip in ice-cold waters. 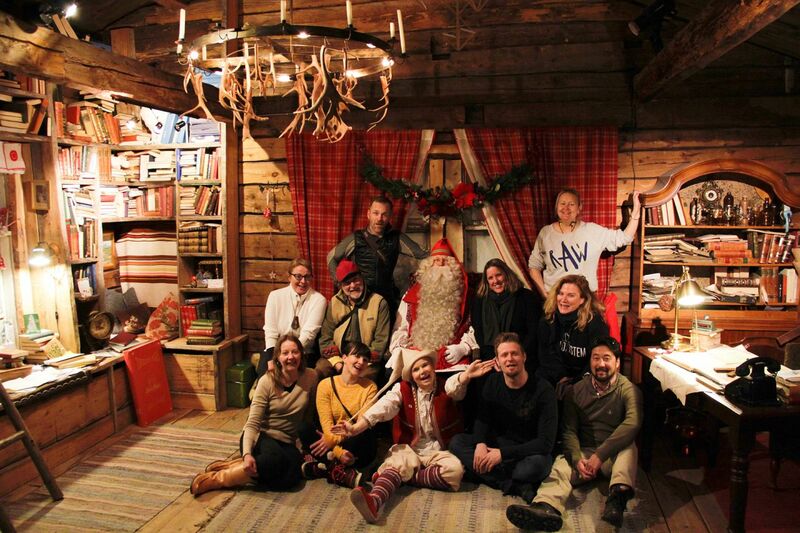 SVP of Production at HBO, Sally Harvey came to Lapland with an open mind and few expectations. After seeing some of the things the area can offer she thinks that Lapland has tremendous potential. The next day, the tour left the hometown of Santa Claus and headed west toward fells and untamed wilderness. 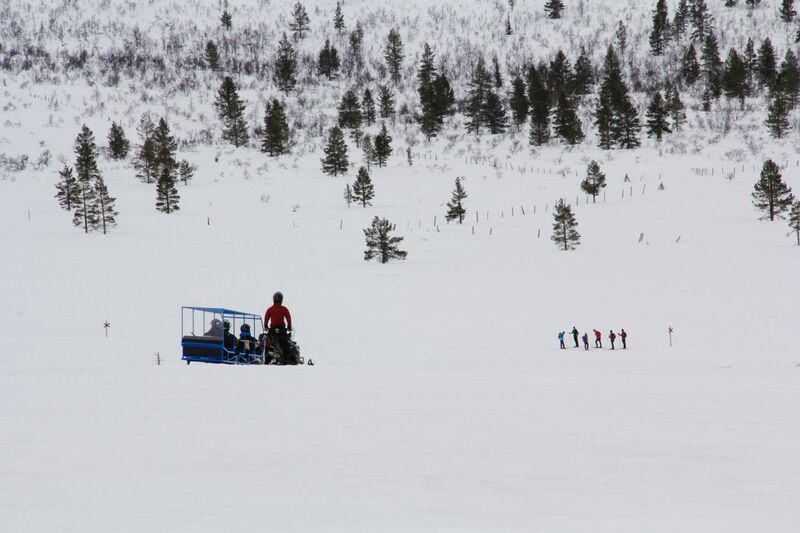 Some of the group chose to stretch their legs and go cross-country skiing, while others strapped in and took off driving across custom-made snow tracks. For the night the group stayed in a rustic hotel on the banks of a frozen river. While touring western Lapland, Dow Griffith and Anna Niemelä, the Finnish Lapland film commissioner, put on their professional hats and scouted some forest locations during the trip. Dow couldn’t give details, but he suspected that Lapland would make a good candidate for the type of locations he’s scouting for an upcoming project, especially the forests. Dow considers safety and comfort paramount features for his locations. The next day, at Levi, Finland’s most popular ski resort, the tour was also introduced to another of Lapland’s favorite animal: the husky. They visited a husky farm and met with a dogwolf trainer. They also got the chance to take the huskies out for a spin, an activity that topped almost everyone’s list of fun. Many of the animals at this husky farm, especially the dogwolfs and the reindeer, have been used in many productions. The group was also treated with a visit to the Lapland Hotels SnowVillage in Lainio, made famous this year for its spectactular Game of Thrones-inspired design and sculptures. 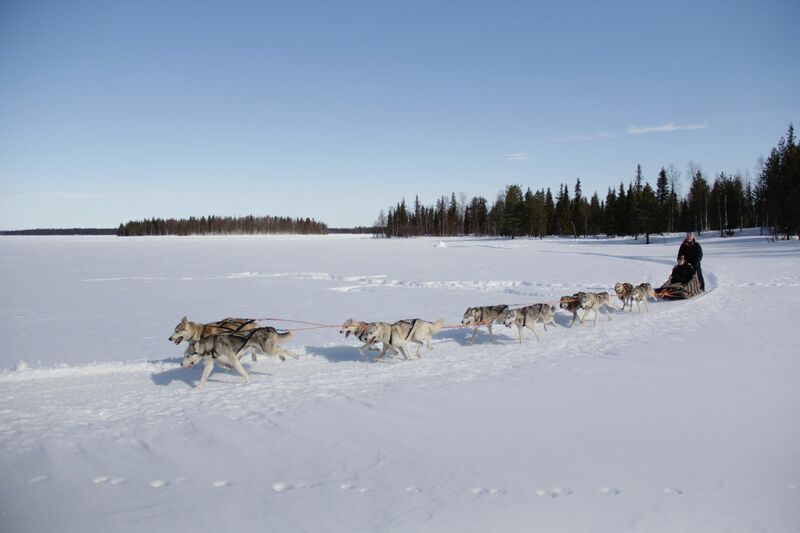 For the last couple days of their tour, the group headed to Inari, Sámi country in northern Lapland. 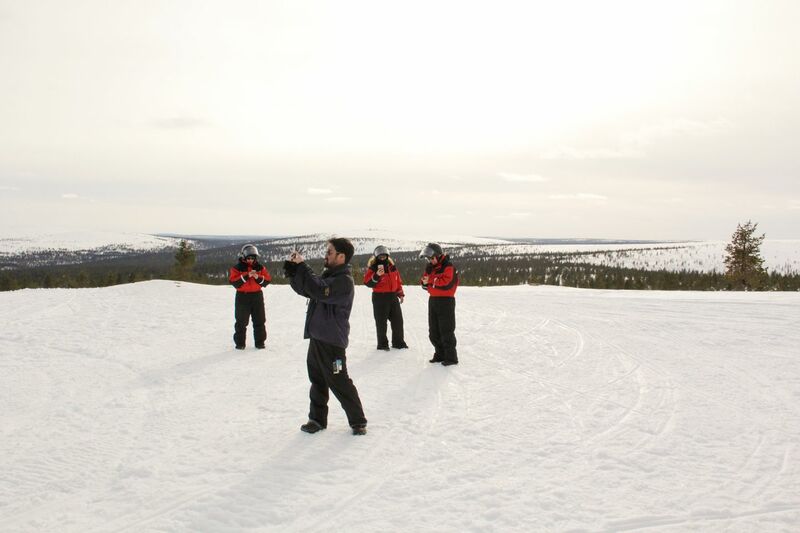 In Saariselkä, Europe’s northernmost resort, the group first toured Finland’s second largest national park, Urho Kekkonen, with the park superintendent. Due to Everyman’s Right, a permit is not necessary for accessing most land. Off-road driving permits instead are necessary everywhere. 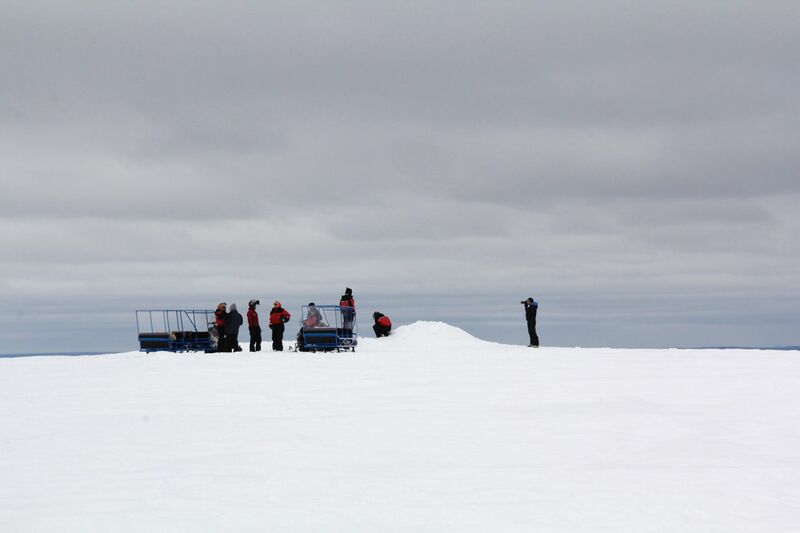 After exploring the national park, everyone hopped on snowmobiles for a snow mobile safari in the forests and on top of the fells of the area outside the park limits. Thor Kjartansson, partner of TrueNorth, the company that has placed Iceland front and center in many recent blockbuster films, and a man who knows grand, epic locations, said, “Lapland is very different from what I expected. I thought there would be less fells, and lower ones, but I was surprised.” On the tour, he seemed particularly impressed with the quality of light in Lapland, most of which sits above the Arctic Circle. 2018 marks the tenth year of the film commission’s work to bring filmmakers to Lapland. Film Lapland has worked with local production and support services to bolster their experiences and expectations, and to connect productions with qualified professionals. Lapland’s reputation as the last wilderness in Europe as well as Finland’s 25% cash rebate has already lured a number of productions, including feature films Ailo’s Journey and The Last Ones, and currently filming television series Arctic Circle.